When I tell people I am a naturopath, I am often met with a blank stare, or a comment like “Oh, so you heal people with crystals and stuff, right?”. While I was studying, people were usually surprised to find out that naturopaths undergo three to four years of training in anatomy and physiology, pathology and biochemistry, along with nutrition, herbal medicine and other health science subjects. Fish slapping certainly wasn’t on the curriculum! Naturopathy is an umbrella term that includes a wide variety of modalities, so it’s not surprising there’s confusion surrounding what we do. Some naturopaths, like myself, prefer to use science-based herbal and nutritional medicines combined with dietary and lifestyle changes, while others might incorporate massage, hydrotherapy and homeopathy. Some might prefer to use traditional diagnostic techniques while others refer their clients for specialised pathology testing. Many use a combination of all these things to achieve the best outcomes for their clients. One thing all naturopaths have in common is our philosophical view of how the body works and how healing occurs. The main goal of naturopathic treatment is to treat the person as a whole, not just the disease or condition they have. Every person is different, so each treatment plan is tailored to suit the specific needs of the person at that point in time. 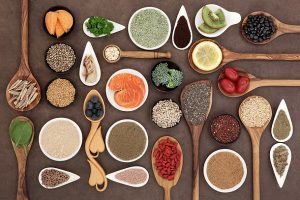 Naturopaths aim to treat ALL the underlying causes of a health issue – not just put a band-aid over the symptoms – and this can involve dietary changes, lifestyle recommendations and nutritional or herbal medicines. The human body has an amazing ability to heal itself and restore balance when it is given the right building blocks and tools to do so. My job is to figure out the best way to support your body with its own healing processes and support and guide you along the way. How can a naturopath help you?